The next time you’re digging through public sites for homes for sale, and getting instant home valuation estimates, keep in mind that this is a simple process to give you an idea of your market. A very general idea. 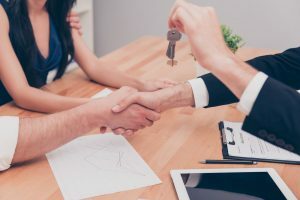 But after you’ve found the perfect house, or after you’ve decided that the numbers make some sense for you to sell, call your favorite real estate agent and make sure they give you a more detailed look into the market and assist you through the full process, not just the exciting first parts. Because it’s going to be in the middle of a contract when the lending is falling apart, or negotiations can’t be made on repairs and emotions are at an all time high, that you are going to wish you had put down your laptop and had an agent fighting for you by your side. Use the internet, have fun with it’s amazing resources, but don’t let it replace your agent. We aren’t in an age, just yet, where technology can do everything a professional can. Why not let Maroney Real Estate assist you? Our website does require a username and password. Logging in with a few simple questions will set you up to browse privately..saving favorites, one click to reach us for showings or questions on a listing…AND our website is powered by the local MLS, so all listings are current and up to date. Log into MaroneyRealEstate.com today or contact us to get you set up. It only takes your name, email address and a phone number for unlimited access.